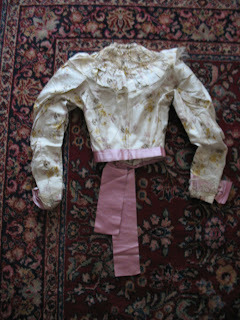 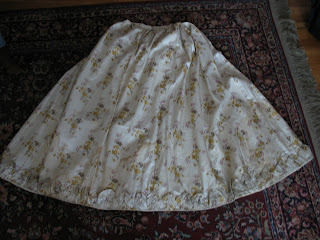 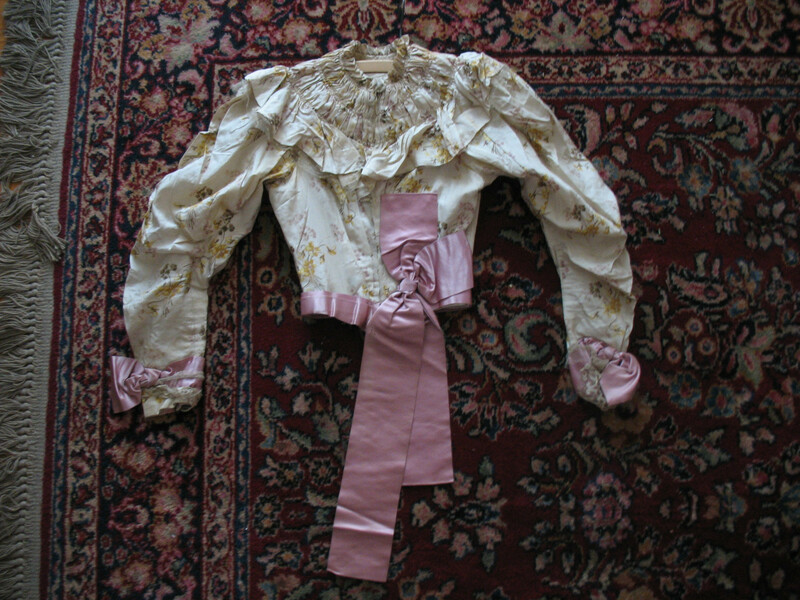 You are bidding on an antique 1800s Victorian Bodice Jacket and Skirt. 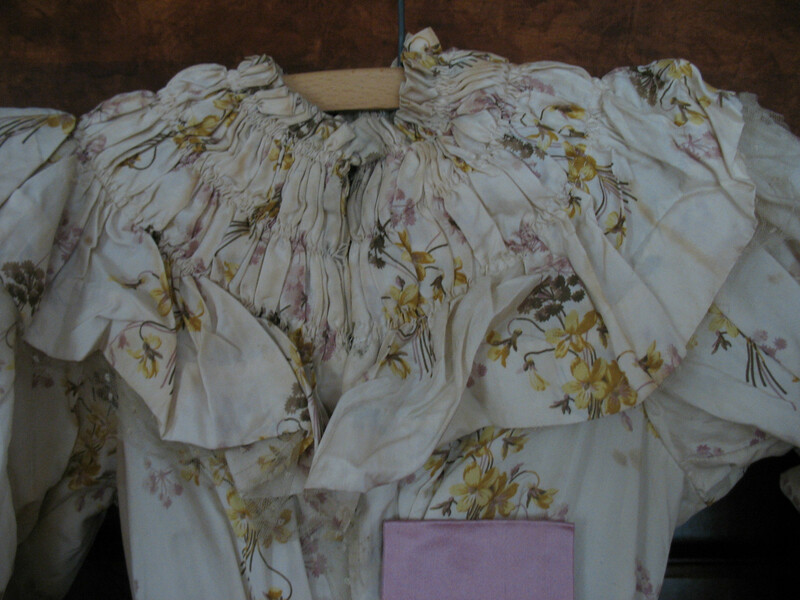 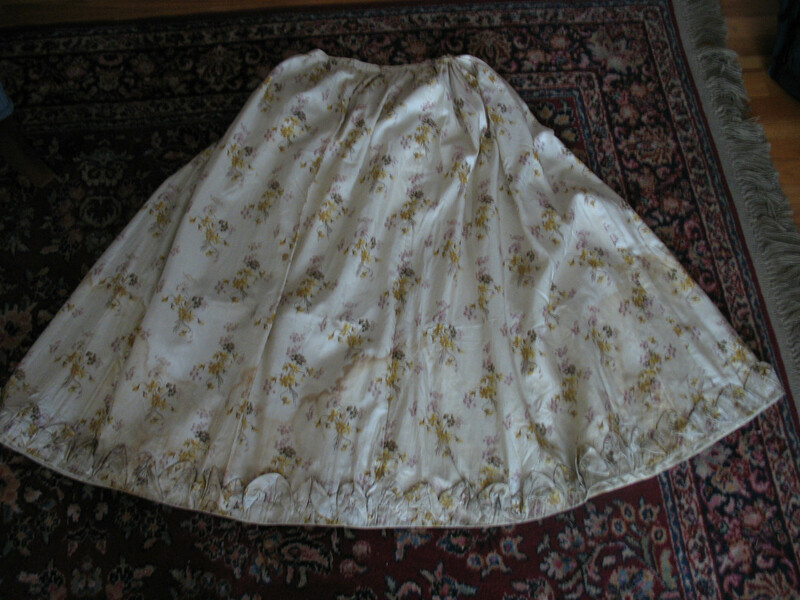 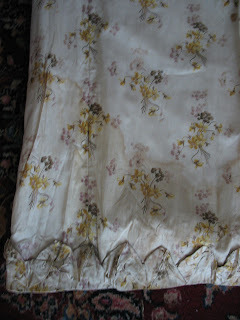 It is a beautiful floral pattern with Lace and Pink silk Trim. Note: There are some water stains in the material, See pictures. 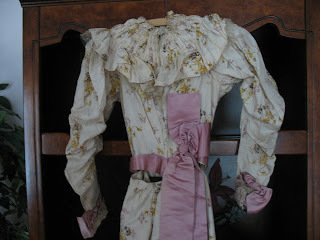 15" from collar to waist. 15" from underarm to cuff. 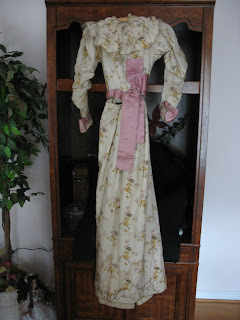 Lovely "Gay Nineties" Spring ensemble!